David joined as a partner in 1999 after leaving the partnership of Allen & Gledhill. He has been a member of the firm’s executive committee since 2001. He began practice as a litigation lawyer and amongst others was lead counsel in Singapore’s first reported decision on minority oppression. He was also litigation counsel for the two leading tin smelters in S.E.A. to deal with the fall out from the International Tin Crisis. He is recognized as a leading practitioner in the area of financial services regulation and in the legal advisory (as opposed to legal transactional) field generally. 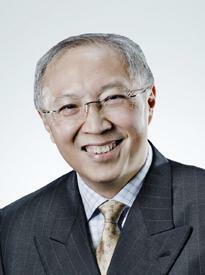 In the financial services field, he was amongst others counsel to the then Singapore International Monetary Exchange in dealing with the fall outs, both from the aberrant Nikkei Index Crash on the exchange in the late 1980s and the Baring’s debacle in the mid-1990s; counsel to the Rubber Association of Singapore in its privatization exercise and its consequential conversion to the SICOM; also counsel to the SGX-DT in both its demutualization exercise and the hiving off of its clearing house. He was also advisor to SMX in its structuring and setting up of Singapore’s second commodities exchange. In the wake of the “Minibond” debacle in Singapore, he was counsel to all 6 of the local brokers, both to deal with the fall out from the debacle; and then to assist in each of the brokers’ respective compliance in dealing with updated and evolving regulatory compliance requirements.